Categorías Cuadros Unicorn-Mystery or Myth! Medidas: 68.58 ancho x 53.34 alto cm. Unicorn finds its place in folklore stories from worldwide, however with different depictions. My understanding of a unicorn is that of Purity and innocence with a unique magical single horn. 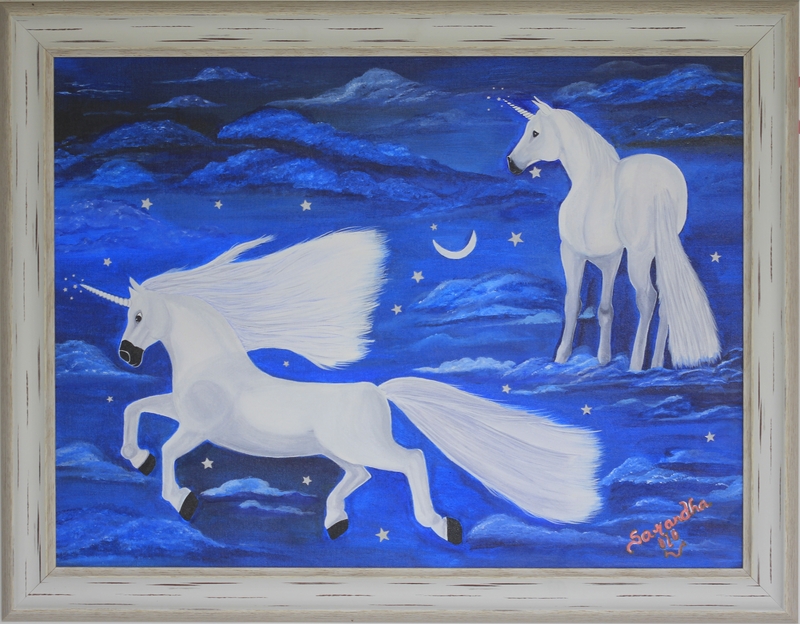 Hence i have created this artwork of unicorns in acrylic against a backdrop of sky with clouds that weaves a magical aura. Medidas: 68.58 x 53.34 cm. Haz una oferta a Sarandha D L por Unicorn-Mystery or Myth!